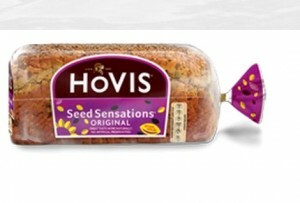 Amcor, market leader and the world’s largest supplier of flexible packaging, has announced that it has developed the new Seed Sensations bread bag for UK-based Hovis Limited made with predominantly renewable polyethylene (PE) with a 75% lower product carbon footprint than traditional bread bags. “The attention to detail from the team at Amcor Flexibles has been a key part of the smooth introduction of the new packaging format. We knew we had a breakthrough proposition with the new renewable PE bread bag and have been able to work closely with Amcor Flexibles to both maximise the development and ensure we gain official certification. The Product Carbon Footprint of this product has been certified by the Carbon Trust. As part of the total Hovis Seed Sensations brand re-launch, we will be communicating about the reduction in carbon footprint on pack and on our website so that our consumers understand the importance of this change for the environment,” said Richard McQuillan, Hovis Marketing Manager at Hovis Ltd. According to the news release by Amcor, the Carbon Trust measures and certifies the environmental footprint of organisations, products and services. The Carbon Trust is also dedicated to the development and the deployment of low carbon technologies and solutions. “As a global packaging leader, Amcor Flexibles has a responsibility to manage the environmental impacts of all its operations and products. The Advanced Sustainability Stewardship Evaluation Tool (ASSET™) is a key element in Amcor’s journey towards excellence in sustainability. In May 2012, the background methodology and data content of ASSET™ successfully achieved certification from the Carbon Trust, a global leader in carbon management and carbon footprint certification. We are delighted that we have been able to support the Hovis Seed Sensations re-launch with ASSET™ delivering a significant improvement that benefits the complete value chain,” said Dr Gerald Rebitzer, Amcor Flexibles Europe & Americas Sustainability Leader.